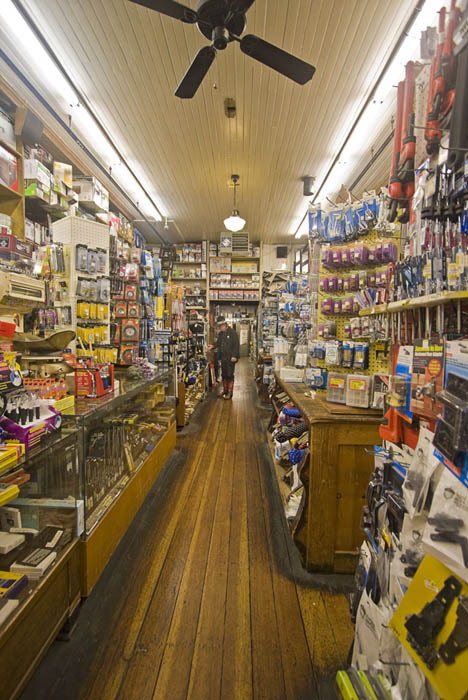 Caption: Old fashioned hardware store, the oldest hardware store west of the Mississippi River. Bins and shelves overflow with screws, drill bits, electrical wiring and everything else needed for home repairs. Comments: Old fashioned hardware store, the oldest hardware store west of the Mississippi River. Bins and shelves overflow with screws, drill bits, electrical wiring and everything else needed for home repairs.